Wearing my aunt’s blouse handmade by my granny. I am in love with summer sunsets at the beach… Especially with a cool beer on the side. Save energy and enjoy the natural cooler. Awesome results! 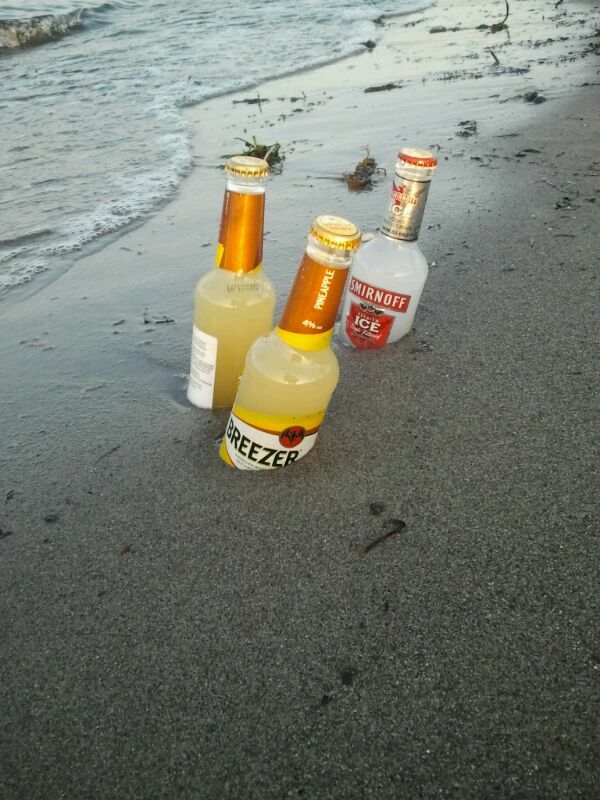 Apparently, what I tried out with my gluten-free beer, became soon a fashion at the beach! PS: have you noticed the unique design of the jacket I’m wearing in the picture above? It’s one of my favorite, from the Italian eco-fashion designer Ecologina. How peaceful and relaxing it is hugging trees! Go out today and try to do it – the biggest the better! Hold it tight!